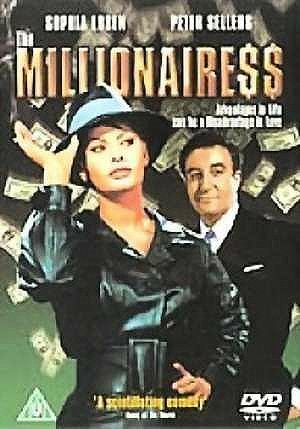 In this still very enjoyable 1960 comedy it;s ironic that Peter Sellers plays a humble Indian doctor who spurns the advances of Sophia Loren's richest woman in the world, given the then married Sellers was head-over-heels for the largely oblivious La Loren. It may be, however, that the off-screen shenanigans helped create the hilariously awkward on-screen pairing as the odd couple Epifania and Ahmed negotiate carnal and platonic relations via a series of bets that bridge the social divide between them. No surprise that this class-based comedy is adapted from a play by George Bernard Shaw that's reminiscent of his more famous stage comedy Pygmalion. Anthony Asquith, who directed the 1938 film version of Pygmalion, does a good job here, too. And a superb supporting cast that includes Alistair Sim, Dennis price and Alfie Bass as well as the Italian filmmaker Vittorio De Sica, ably assists him. The comic duet sung by Loren and Sellers, ‘Goodness Gracious Me’, became a worldwide hit. No extras.